Based on the short story by Sidney Carroll, Gambit was previous adapted in the 1966 version starring Michael Caine and Shirley MacLaine. It follows the narrative structure of a heist film while allowing the story to move forward through the use of farcical comedy and the Coen’s signature sharp wit in the dialogue. This at times makes the film feel more schizophrenic and uncertain, as none of the genres chosen for the mash-up of filmmaking feel complete. The comedy overtakes the crime aspects of the film until a contrived climax allows for a slightly clever twist which only surprises due to the lack of focus in the narrative. Colin Firth seems to come out relatively unscathed, despite only needing to play a caricature version of many roles previously made famous by the British actor. He plays the role of bumbling British gentleman Harry Deane all too well, but this film has little original to do with this charismatic personality other than place him in manufactured situations of slapstick humor. 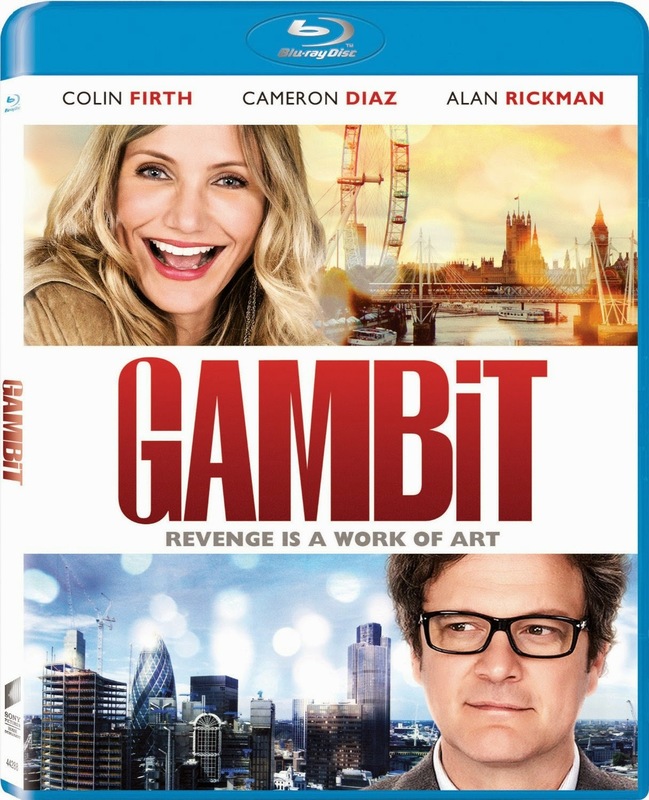 Less fortunate in the casting of Gambit is Cameron Diaz as the hokey rodeo cowgirl, PJ Puznowski, a personality that never comes off as realistic or believable in the slightest. Regardless of how thick Diaz makes her southern drawl and how often she bats her eyelashes with wide-eyed naivety, this is a poorly constructed and executed performance from the American star. It is quite clear that she spent more time making sure her stomach was toned for the underwear jump-roping scenes than developing a believable personality for PJ. The Blu-ray release is appropriately void of special features.